Dumplings are one of the most iconic dishes in Chinese cuisine. They are enjoyed by people throughout China, and have become a staple in Chinese restaurants all over the world. However, not many are aware of the origins of this popular dish, or its important role in Chinese culture, historically as well as in this day and age. 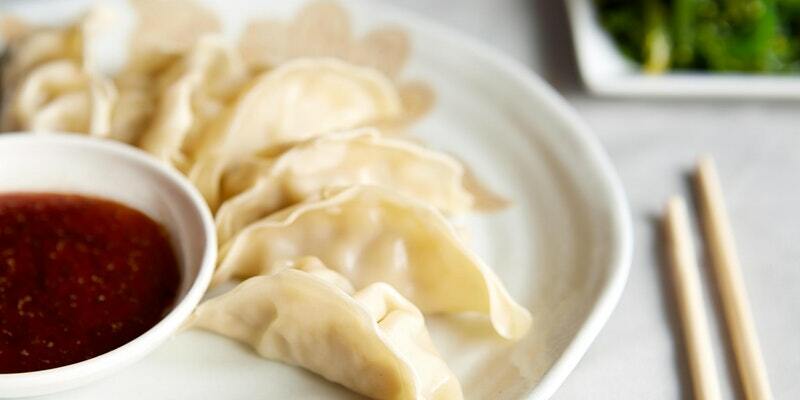 Although there are many different accounts of the origin of dumplings, according to the most popular version they were invented by Eastern Han Dynasty physician Zhang Zhongjing. Zhang was born in Nanyang, a city in central China, but spent much of his life serving as a government official in the southern city of Changsha. When he retired he decided to go back home, and set off on the journey during the winter. On the way, he encountered many people with frostbitten ears. A skilled practitioner of traditional Chinese medicine, Zhang took it upon himself to use his expertise to help these people. However, due to the large number patients that were in need of aid, he could not tend to each one individually. Instead, with a large pot used for brewing medicine, he cooked chunks of mutton along with various herbs, following an ancient recipe for curing frostbite. Such a recipe is typical of practices in Chinese medicine, which seeks cures for diseases and ailments in everyday foods rather than artificial chemicals. Once the mutton and herbs were cooked, Zhang chopped them up and wrapped them in small pieces of dough. He cooked these “dumplings” and gave them to the patients, all of whom were cured of their frostbite and other symptoms that they had developed from the cold. Thus, the predecessor of modern-day dumplings was invented. While most people in China today are unaware of the specifics of the history of dumplings, the New Year’s traditions involving this dish have long since become ingrained in Chinese culture, and continue to thrive. As China has adopted the international system of seconds, minutes and hours, the concept of the zishi is no longer in use, and thus the symbolic significance of dumplings may be lost on many people. However, family dinners are still as important as ever, and the tradition of having dumplings for the New Year’s dinner has continued to this day. No matter what their specific connotations at any given time may be, dumplings have played an essential role in Chinese culture throughout much of the history of Chinese civilization. It is therefore fitting that in this age of globalization they should become a symbol of China cuisine and culture across the world.